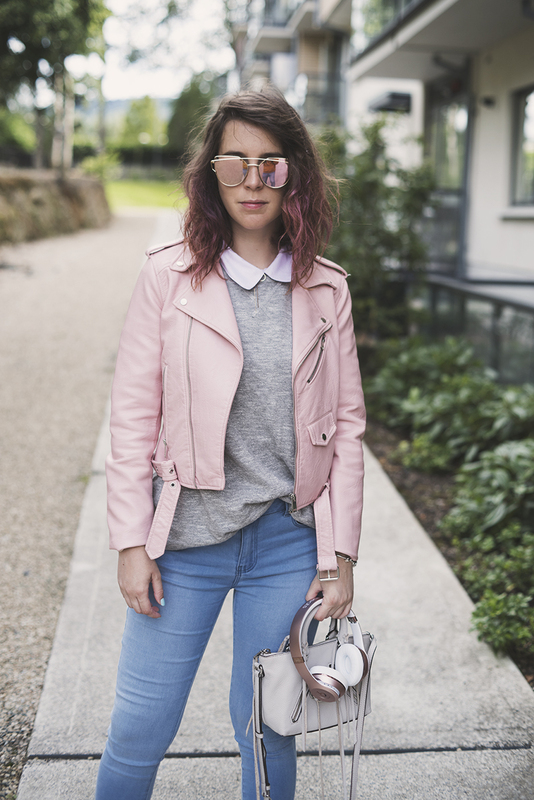 You already saw – well, almost saw – this outfit when I talked about my new wrist watch from Swatch (you can read the full article HERE). It was a comfy look, pink – of course – and perfect to be worn also in the office. But in that post you didn’t see the real main character of the outfit: the shoes. 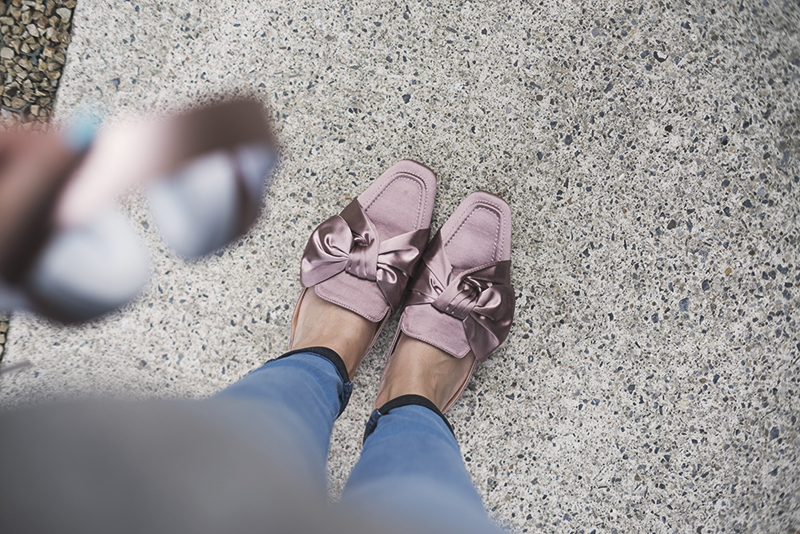 The fabulous pink mules (I told you about them HERE) in an amazing pink satin with a big bow on the front. Comfy and fresh, they are perfect on an elegant look but also to give a particular touch to a simple look, like this case. 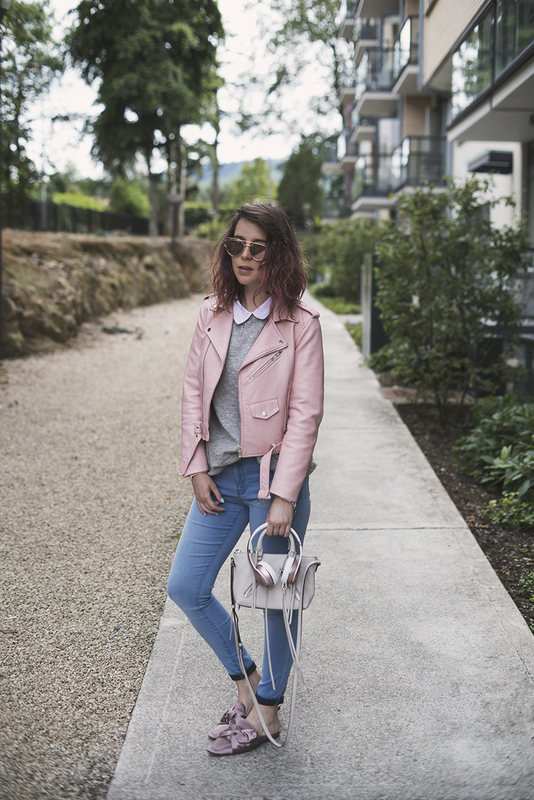 Pink leather jacket, pink mules, pink watch and pink sunglasses. An overflow of my favorite color, but I still think that the look is sober enough, isn’t it? The shoes are by Steve Madden and they were love at first sight. 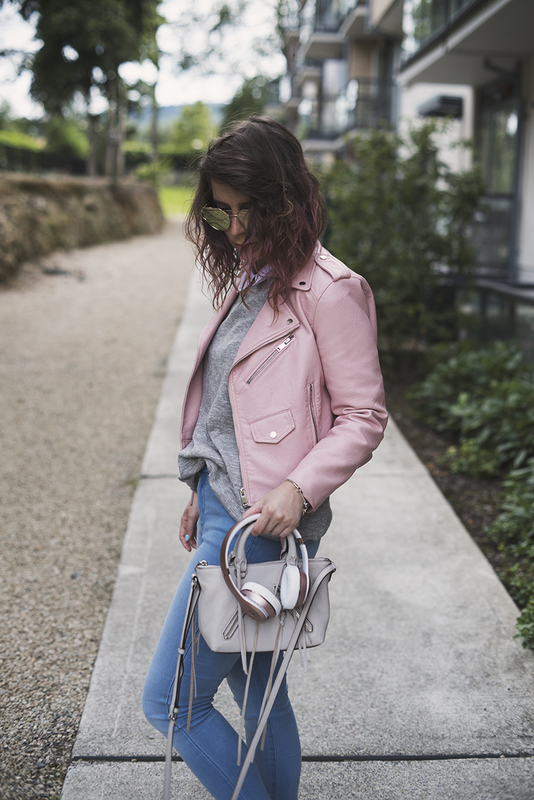 I combined them to this look with the shades of Pink but also the neutral shades of grey and white. I know that you have noticed it.. I have pink hair. Well, I have pink edges. I wanted to try, actually this is a color that I’d really like to have on my hair permanently, but in this case I used the temporarily color from L’Orèal. What do you think, do you like the result? Would you think this look would suit me? I how you loved the outfit! Let me know, and have a nice day! Shop Red Bikinis, Black Swimsuit, Tassel Earrings, Black Clutches and more. Get this widget.